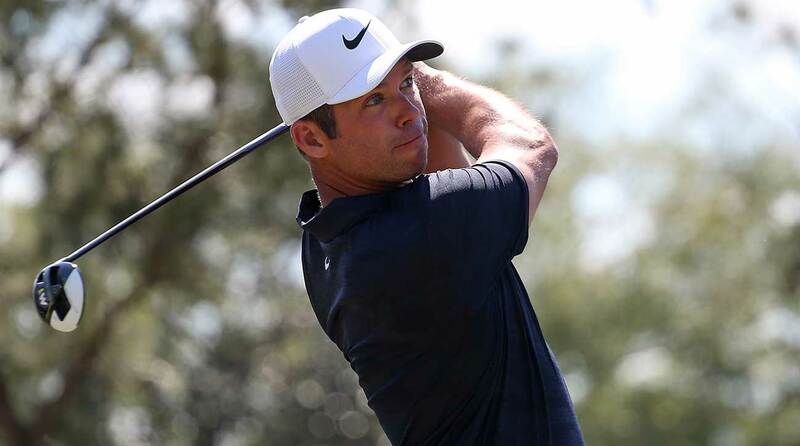 Paul Casey held a one-stroke lead over Dustin Johnson through 54 holes at the Valspar Championship, but could Casey hold off the World No. 1 and repeat at Innisbrook Resort’s Copperhead course? Here’s what you missed on Sunday in Palm Harbor, Fla.
How it happened: Casey made the turn in one over on his round and was tied at eight under with Louis Oosthuizen. The 41-year-old grabbed the solo lead two more times on the back nine only to surrender it with bogeys, and after a three-putt bogey from 42 feet on the 17th, Casey teed off on 18 tied with Jason Kokrak at eight under as Oosthuizen (69) held the clubhouse lead at seven under. Playing in the group ahead of Casey, Korak (71) bogeyed the 18th to give the solo lead back to Casey, who drove it in a fairway bunker. But Casey knocked it to 22 1/2 feet and two-putted for a one-shot win. Paul Casey successfully defended his Valspar title. Why it matters: Casey is the first back-to-back winner in the Valspar Championship’s history. He’s now won three times on the PGA Tour to go with his 13 European tour wins. Best shot when it mattered: Casey drove it into the fairway bunker on 18 and faced 130 yards to the green and had marginal space to clear the bunker lip on his approach. He pulled it off and hit it to 22 1/2 feet, which all-but secured his victory. What about DJ? : Johnson started the day a shot behind Casey and in the final pairing, but he failed to make a birdie all round. He made three bogeys and shot 74, tying for 6th. Best shot from an invisible man: Luke Donald holed out for eagle — from under the TV tower and off your screen, on the 1st hole. Up next: The Tour heads to Texas for the World Golf Championships-Dell Technologies Match Play at Austin Country Club, which begins on Wednesday with group play. Sixty-two of the top 64 in the world are in the field (Rickie Fowler and Adam Scott declined invites) and Bubba Watson is back to defend his title. Tiger Woods is also in the field; he hasn’t played the event since 2013, before it started group-play matches. The Match Play will also serve as the final Masters tune-up for a majority of the field.